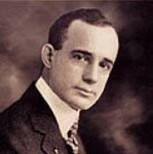 Napoleon Hill was one of the most influential people in the area of personal success. Born into poverty in 1883 in Wise County, Virginia, he became a beloved motivational author, teacher, and lecturer. Hill dedicated more than 25 years of his life to define the reasons by which so many people fail to achieve true financial success and happiness in their lives. Hill began his writing career at age 13 as a mountain reporter for small town newspapers and later achieved great success as an author and journalist. His early career as a reporter helped Hill to finance his higher education. In this position, he was given an assignment to write a series of success stories of famous men and was asked to interview steel-magnate Andrew Carnegie. Carnegie challenged Hill to interview over 500 millionaires to find a success formula that could be understood and used by the average person. Hill accepted the challenge and formulated a philosophy of success, drawing on the thoughts and experiences of a multitude of rags-to-riches tycoons. The book, Think and Grow Rich, took over 20 years to produce but has sold over 26 million copies internationally. In recent years, the Napoleon Hill Foundation has published Hill’s best-selling writings. It is the Foundation’s goal to have new editions of all of Dr. Hill’s works in print by 2005. Dr. Hill established the Foundation as a nonprofit educational institution whose mission is to perpetuate his philosophy of leadership, self-motivation, and individual achievement worldwide. The Founda-tion’s mission includes both educational programs and correctional programs. Corporate seminars are conducted for groups as well. The Napoleon Hill Foundation is dedicated to making this world a better place in which to live. The Napoleon Hill World Learning Center is the educational component of the Napoleon Hill Foundation. Located just minutes from downtown Chicago in Hammond, Indiana, the Napoleon Hill World Learning Center provides educational opportunities for students of Napoleon Hill’s Philosophy of Success. Established with a $1 million grant from the Foundation, the Learning Center’s mission parallels the mission of the Foundation. • Every adversity, every failure, and every heartache carries with it the Seed of an equivalent or a greater Benefit. • Desire is the starting point of all achievement, not a hope, not a wish, but a keen pulsating desire which transcends everything. • Both poverty and riches are the offspring of thought. • A positive mental attitude is an irresistible force that knows no such thing as an immovable body. • Success in highest and noblest form calls for peace of mind and enjoyment and happiness which comes only to the man who has found the work he likes best. • What the mind of man can conceive and believe, it can achieve. • When defeat comes, accept it as a signal that your plans are not sound, rebuild those plans, and set sail once more toward your coveted goal. • Self-discipline begins with the mastery of your thoughts. If you don’t control what you think, you can’t control what you do. Simply, self-discipline enables you to think first and act afterward. • No man ever achieved worthwhile success, who did not at one time or another find himself with at least one foot hanging well over the brink of failure. • Victory is always possible for the person who refuses to stop fighting. • Until you have learned to be tolerant with those who do not always agree with you; until you have cultivated the habit of saying some kind word of those whom you do not admire; until you have formed the habit of looking for the good instead of the bad there is in others, you will be neither successful nor happy. • The starting point of all achievement is desire. Keep this constantly in mind. Weak desire brings weak results, just as a small amount of fire makes a small amount of heat. • Patience, persistence, and perspiration make an unbeatable combination for success. • If the winds of fortune are temporarily blowing against you, remember that you can harness them and make them carry you toward your definite purpose, through the use of your imagination. • Cherish your visions and your dreams as they are the children of your soul, the blueprints of your ultimate achievements. • There is one quality which one must possess to win, and that is definiteness of purpose, the knowledge of what one wants, and a burning desire to possess it. • Do not wait; the time will never be “just right.” Start where you stand, and work with whatever tools you may have at your command, and better tools will be found as you go along. The best place to get started with Napoleon Hill is to read Think and Grow Rich. The story for the creation of the book is almost as interesting as the book itself. In 1908, Hill had the opportunity to interview the American industrialist, Andrew Carnegie. According to the story, Hill had arranged for a three-hour interview, which turned into three days during which Carnegie sold Hill on organizing what would become Think and Grow Rich. 1. Fix in your mind the exact amount of money you desire. It is not sufficient to say “I want plenty of money.” Be definite as to the amount. 2. Determine exactly what you intend to give in return for the money you desire (there is no such thing as “something for nothing”). 3. Establish a definite date when you intend to possess the money you Desiree. 5. Write out a clear, concise statement of the amount of money you intend to acquire, name the time limit for its acquisition, state what you intend to give in return for the money, and describe clearly the plan through which you intend to accumulate it. 6. Read your written statement aloud, twice daily, once just before retiring at night, and once after arising in the morning. As you read—see and feel and believe yourself already in the possession of the money. The above six steps are a small part of the countless ideas in this book, which is not only a bestseller but also a classic in the Self Improvement and Success arena.